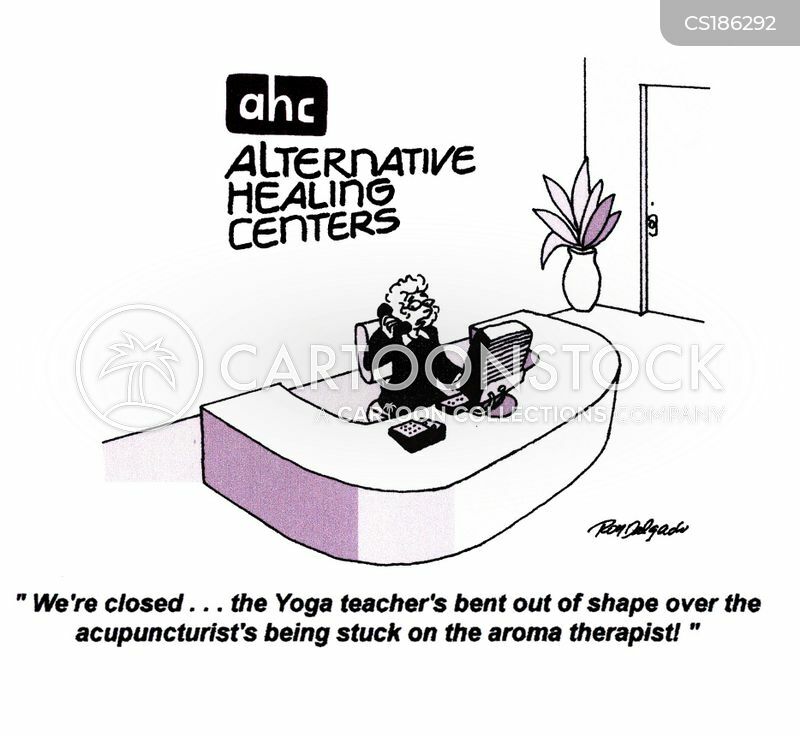 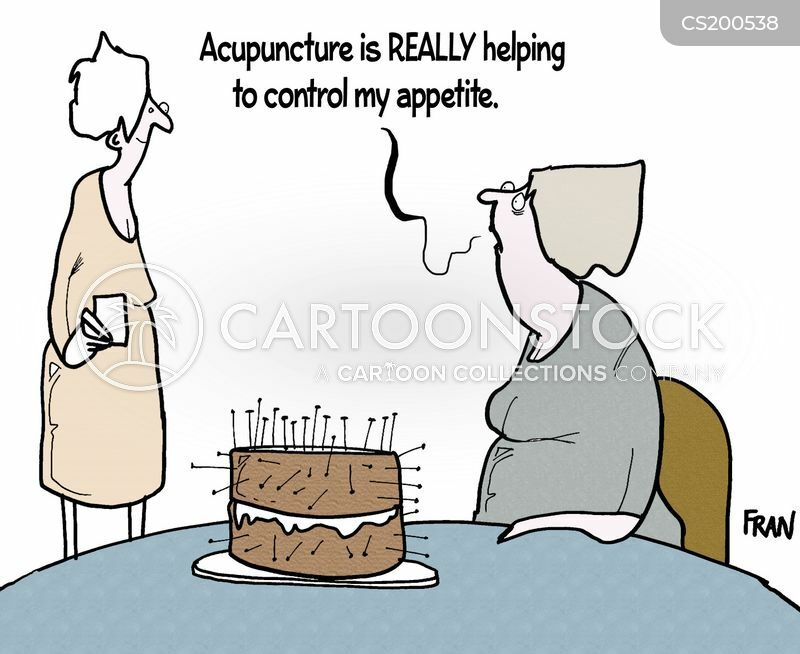 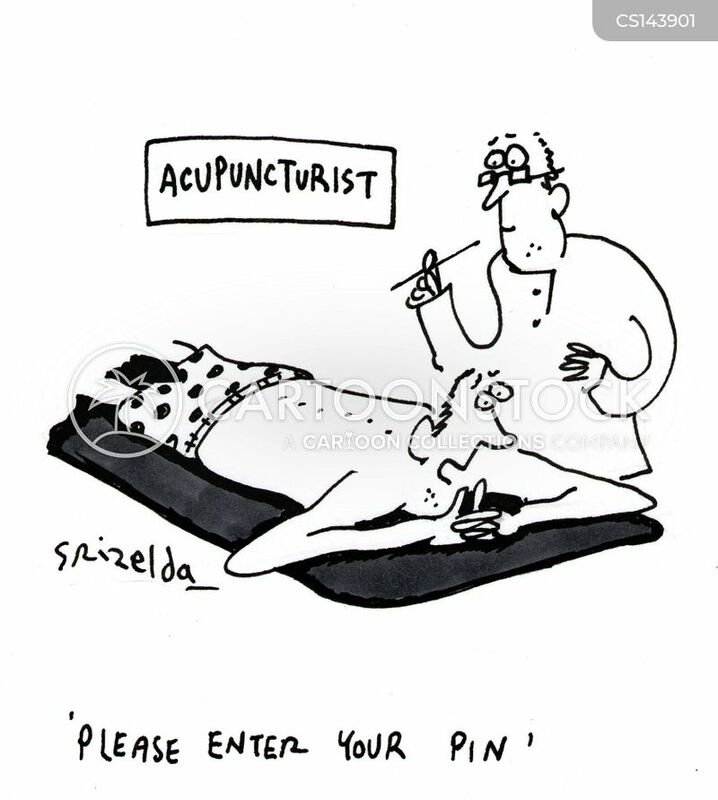 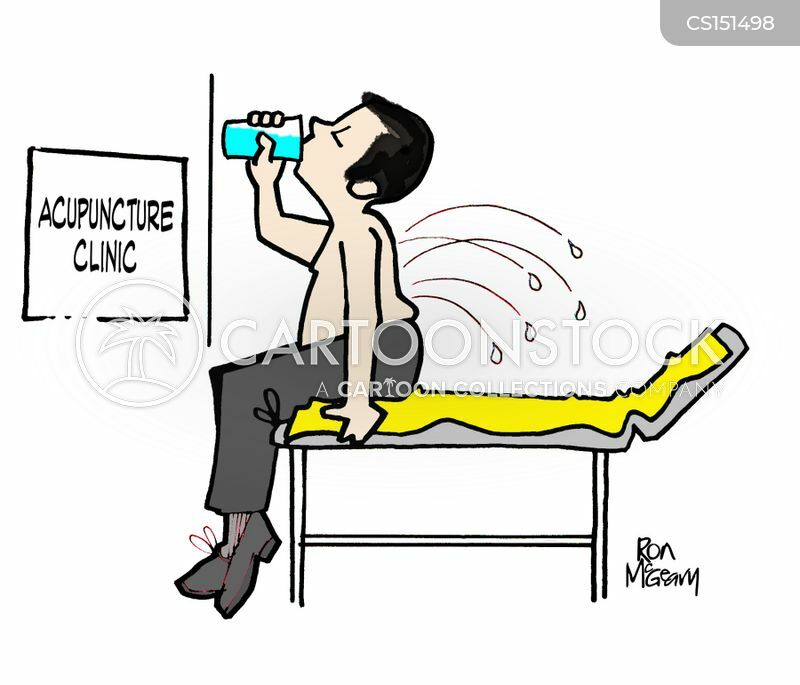 Acupuncturist - 'Please enter your pin'. 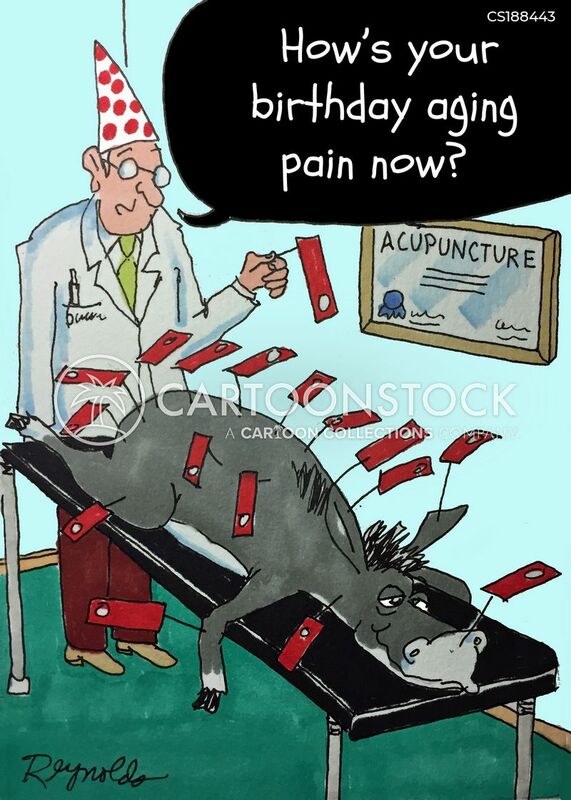 "How's your birthday aging pain now?" 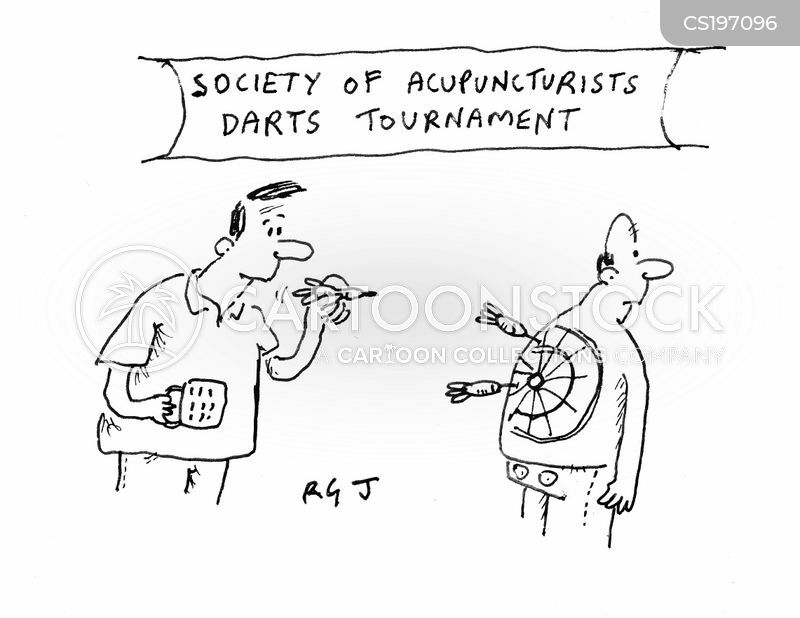 Society of Acupuncturists Darts Tournaments. 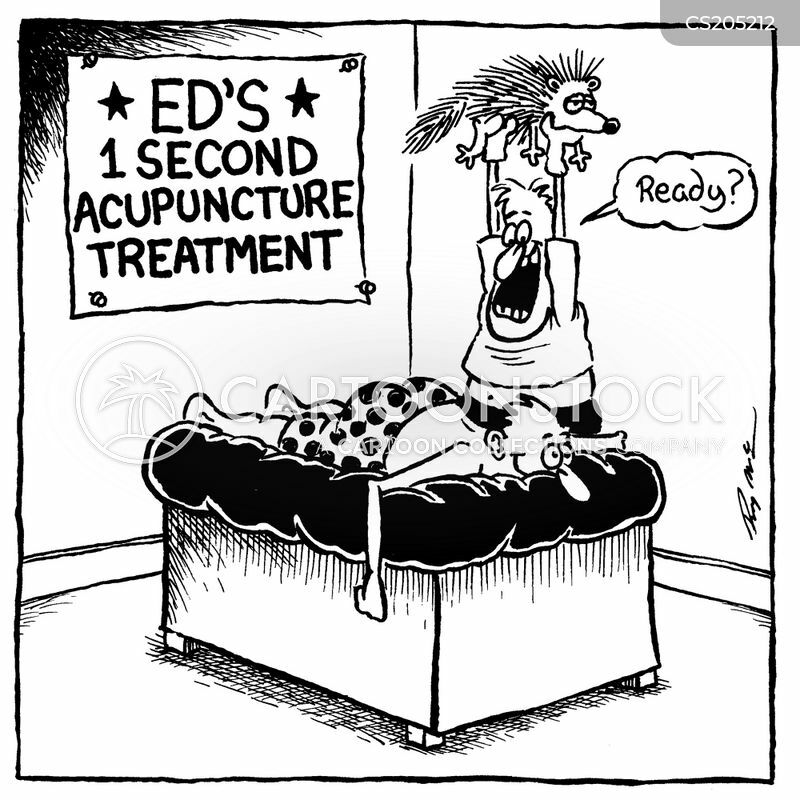 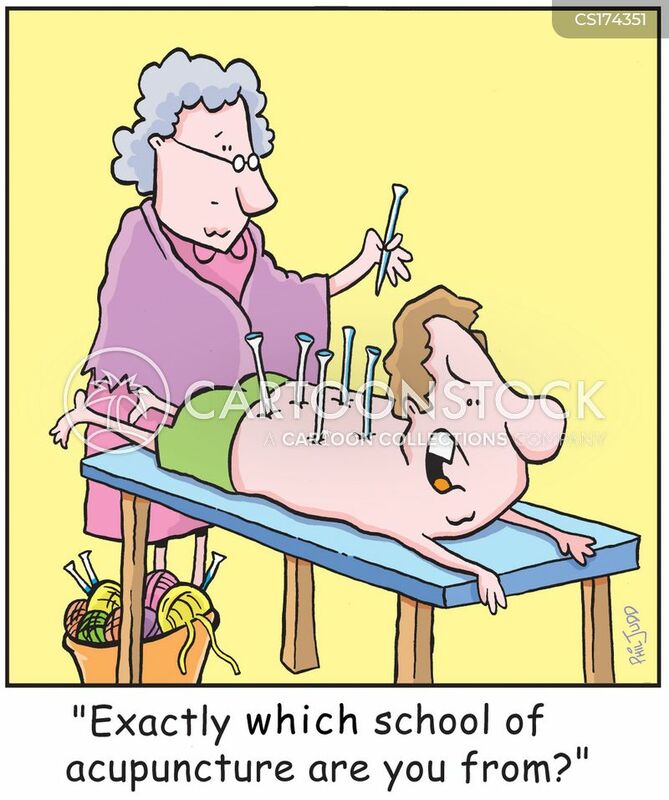 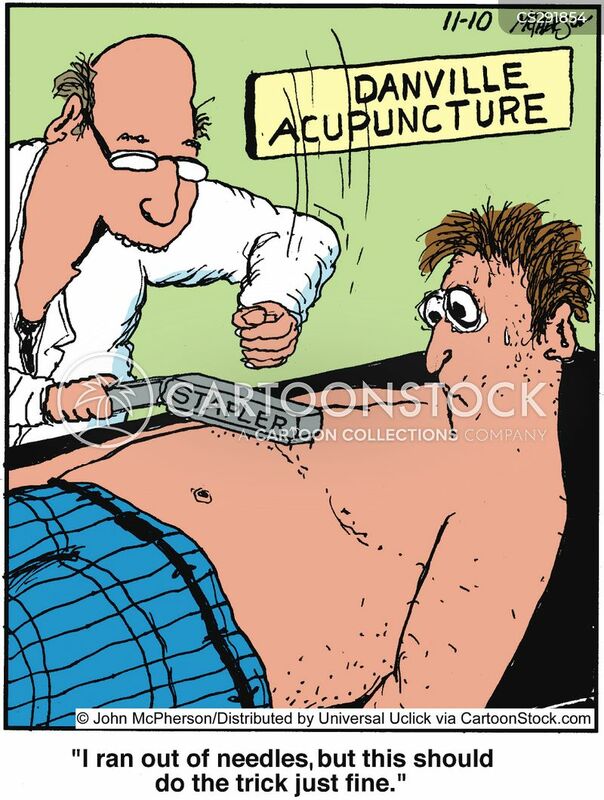 Ed's 1 second acupuncture treatment (man holding porcupine). 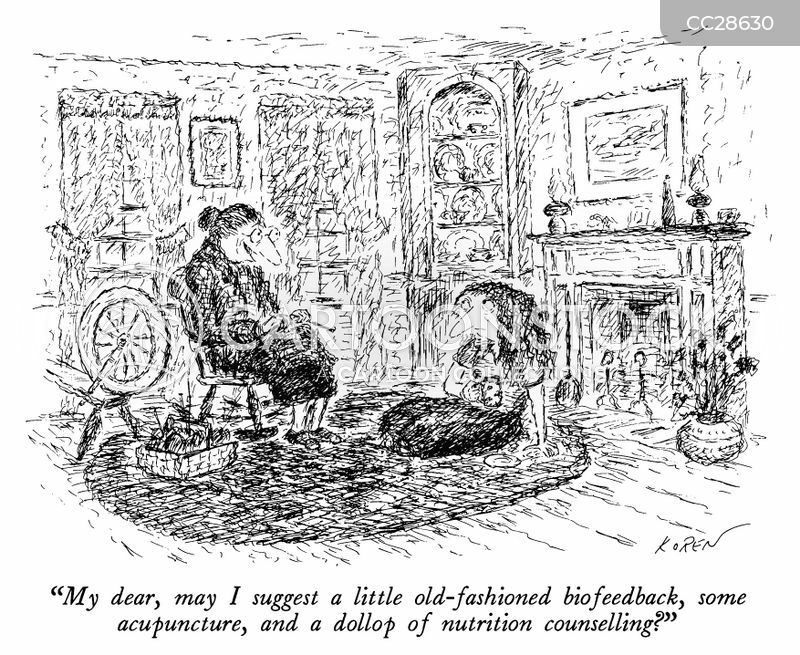 "My dear, may I suggest a little old-fashioned biofeedback, some acupuncture, and a dollop of nutrition counselling?" 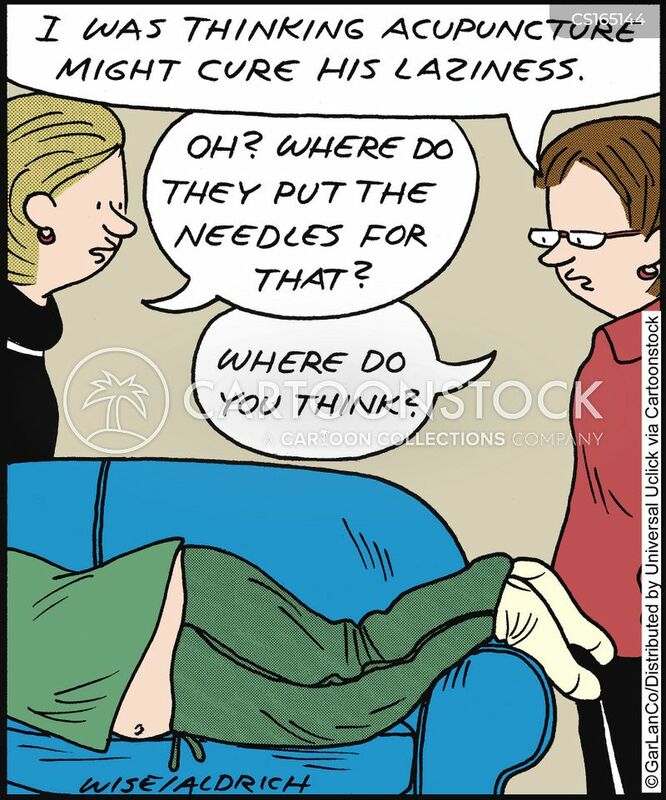 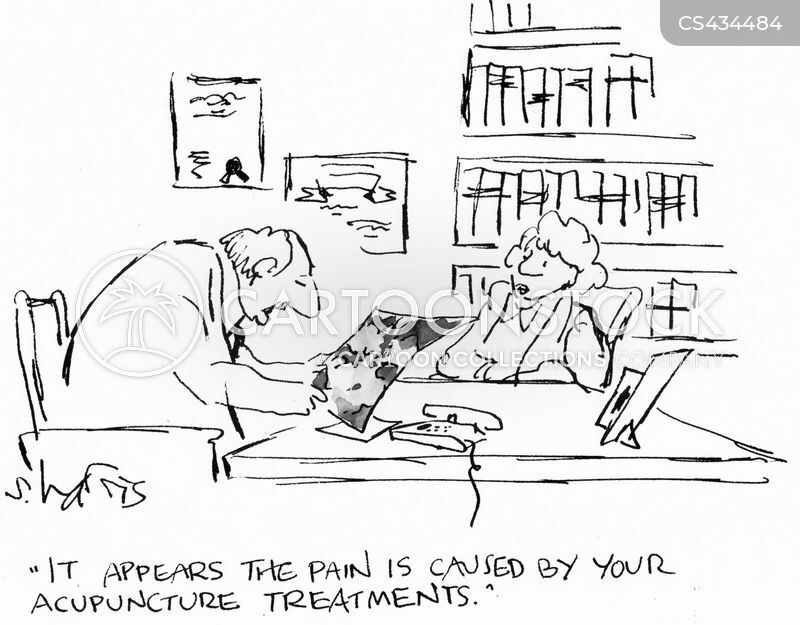 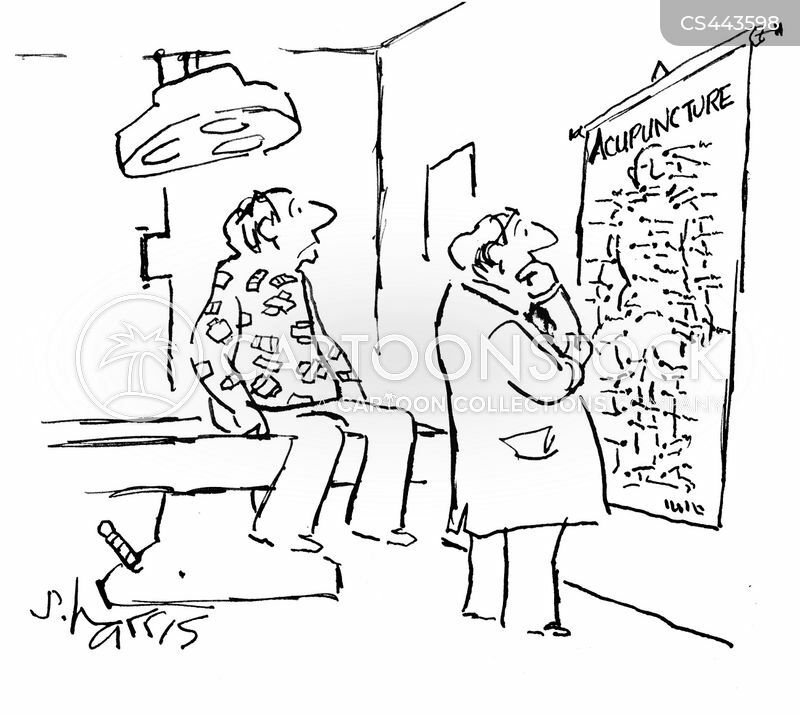 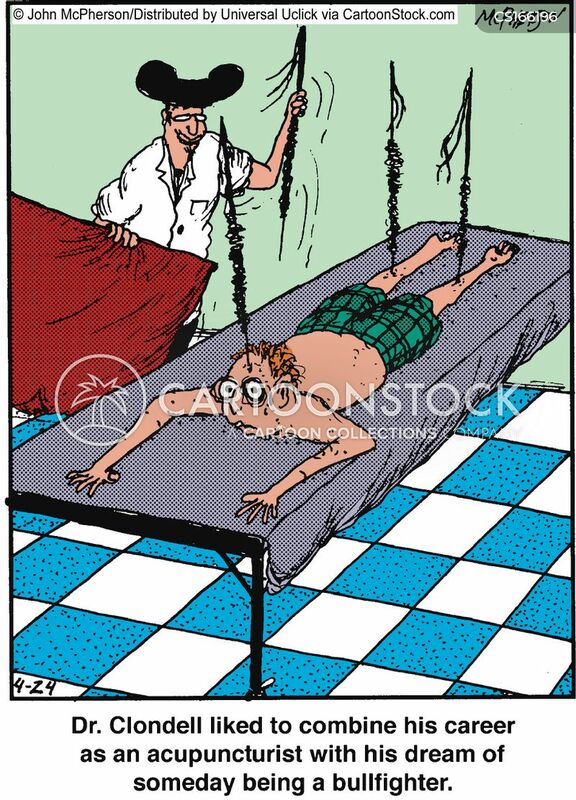 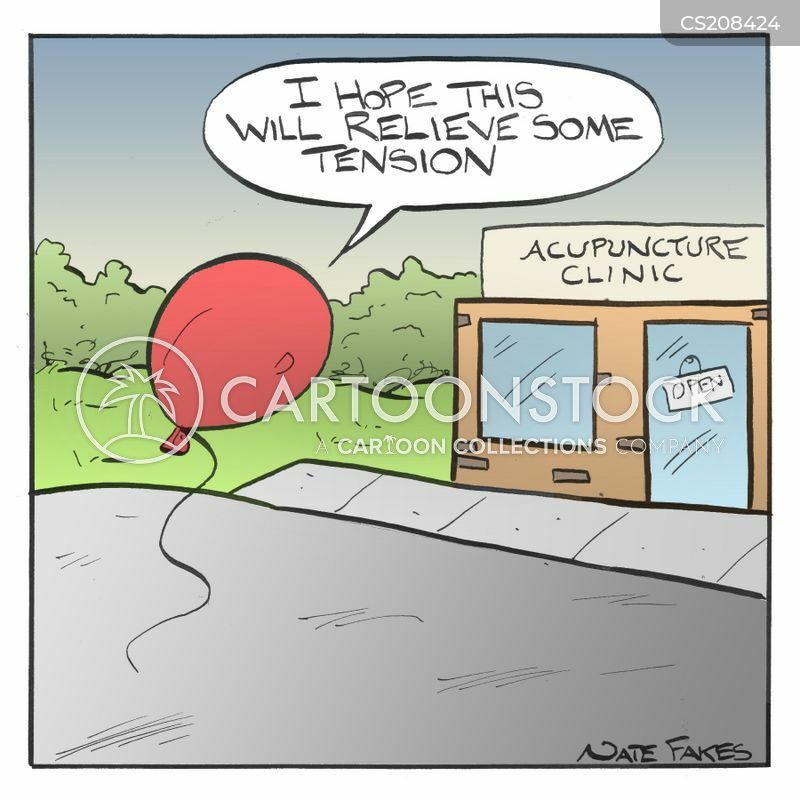 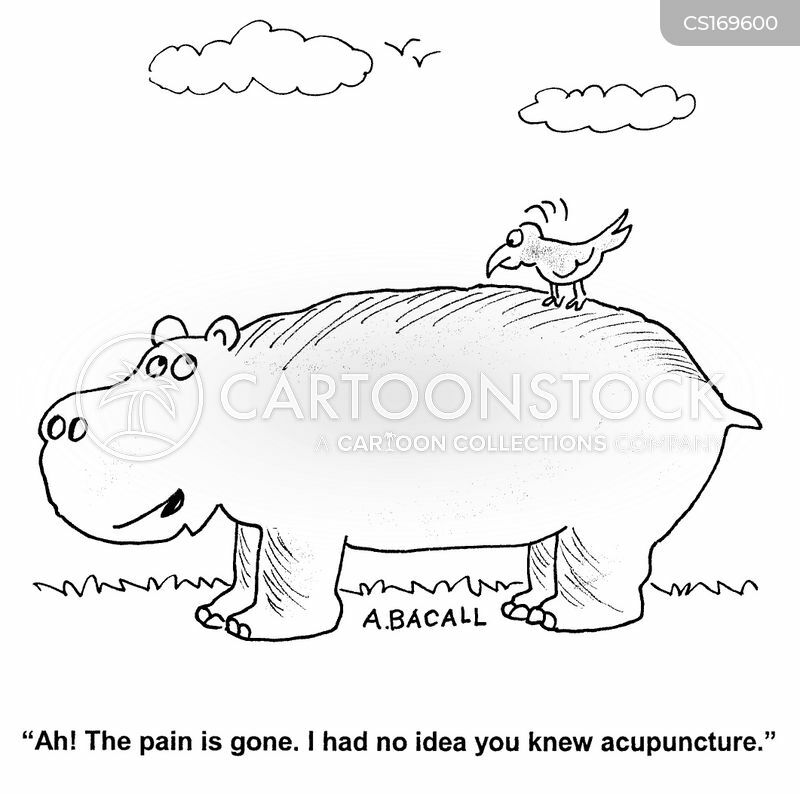 "It appears the pain is caused by your acupuncture treatments." 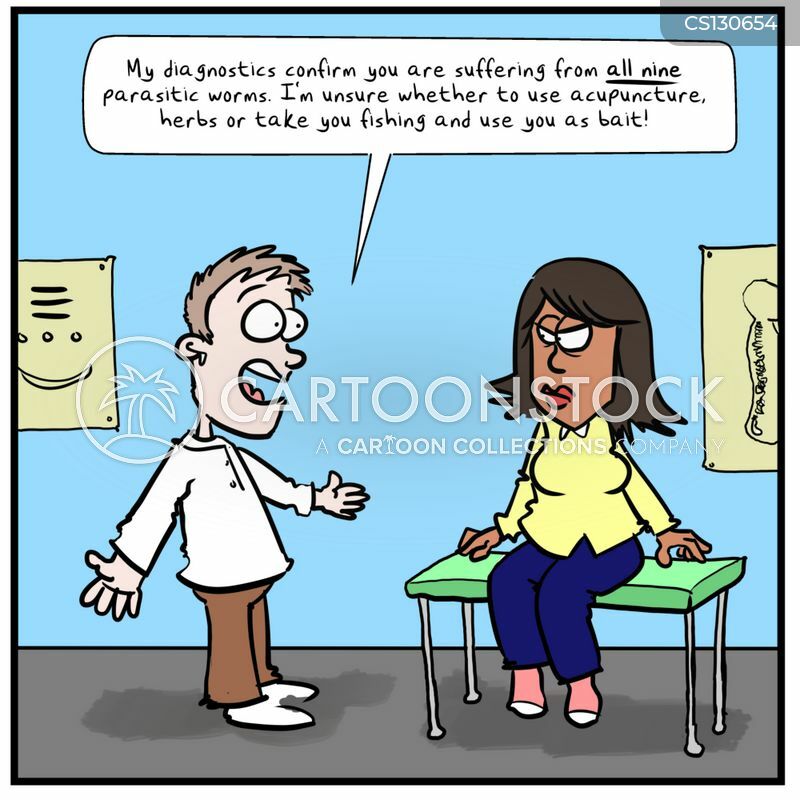 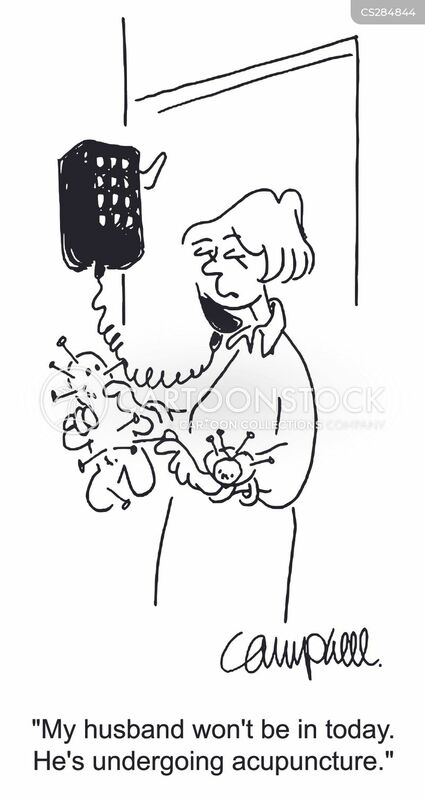 "My diagnostics confirm you are suffering from all nine parasitic worms! 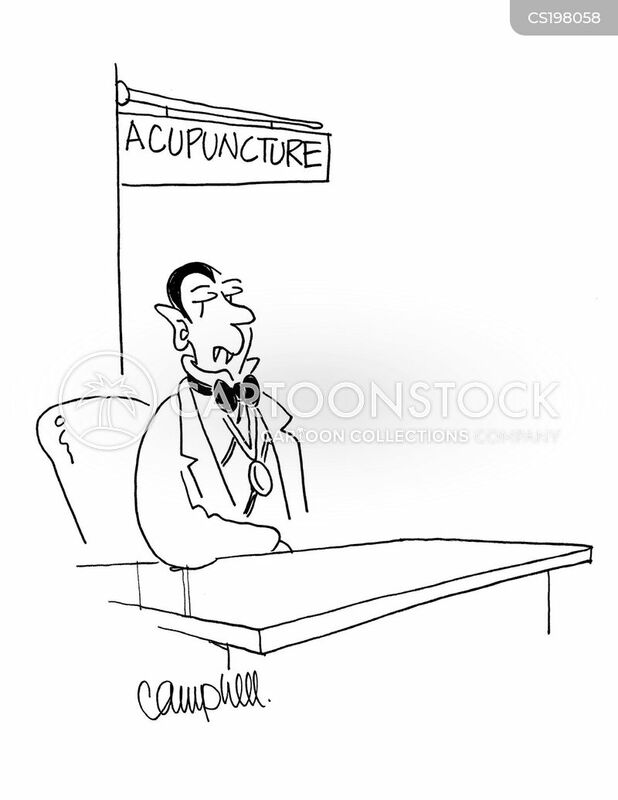 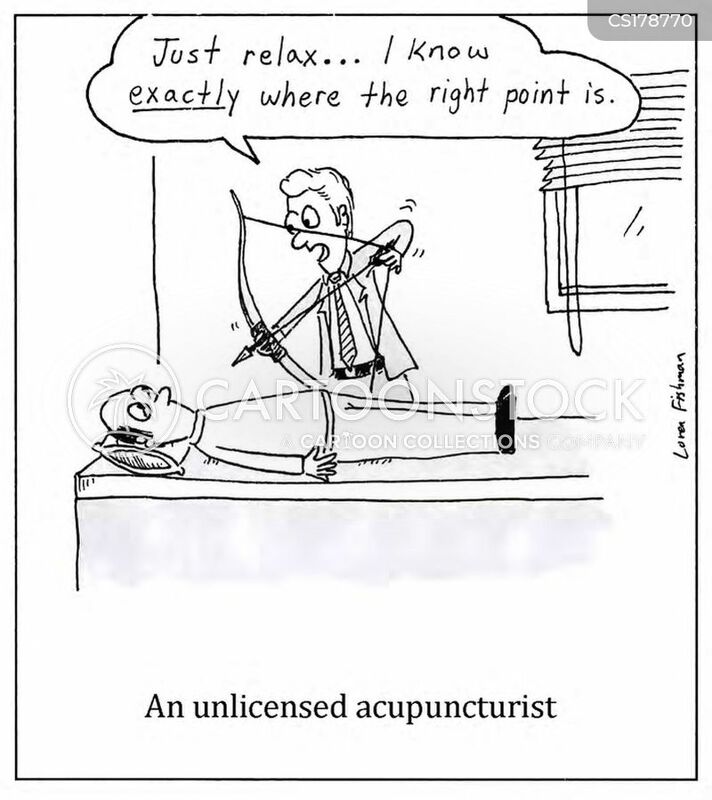 I'm unsure whether to use acupuncture, herbs or take you fishing and use you as bait!" 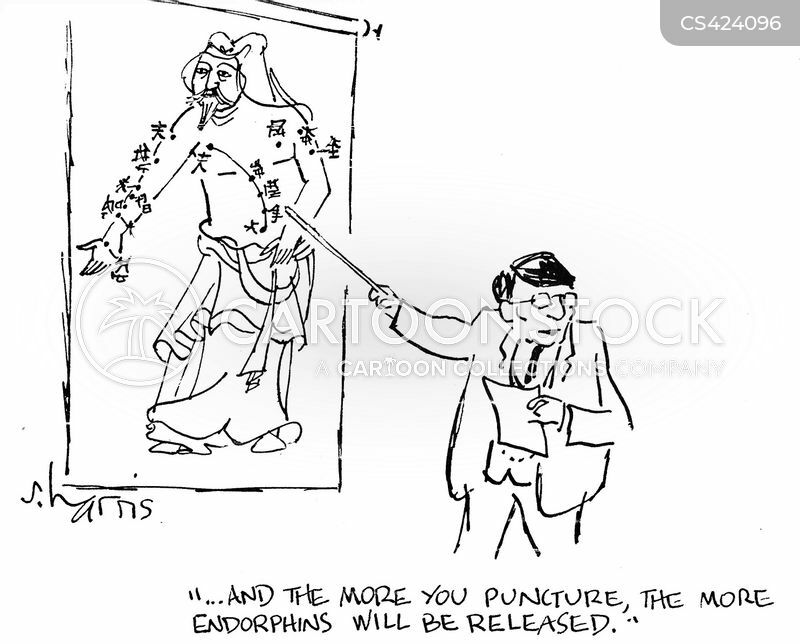 "...and the more you puncture, the more endorphins will be released." 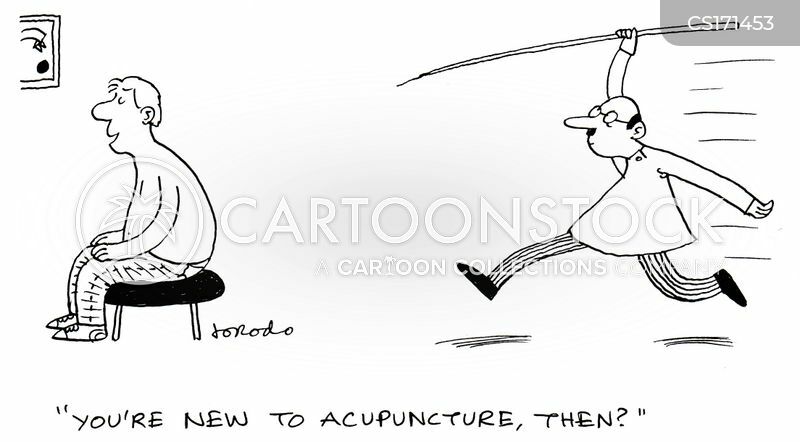 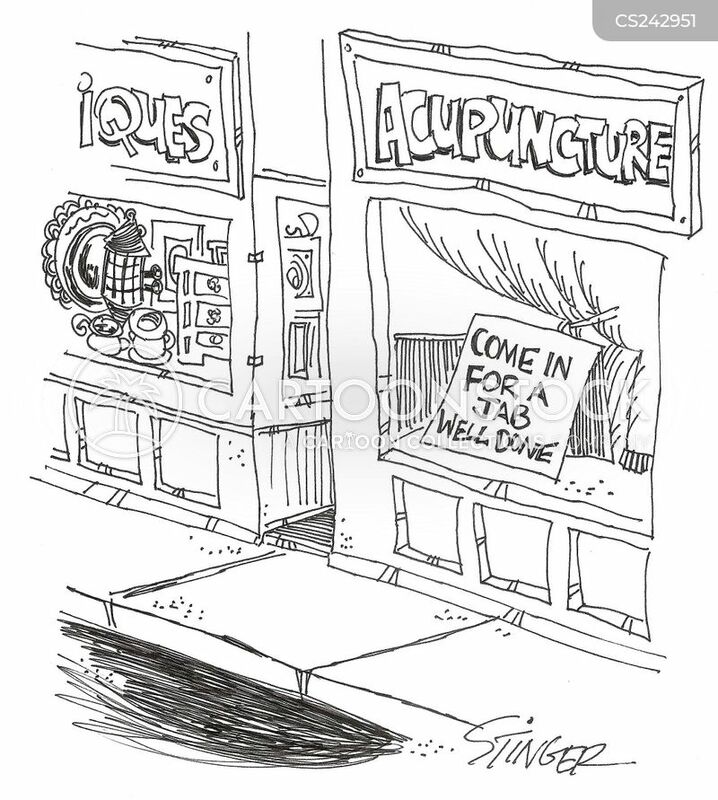 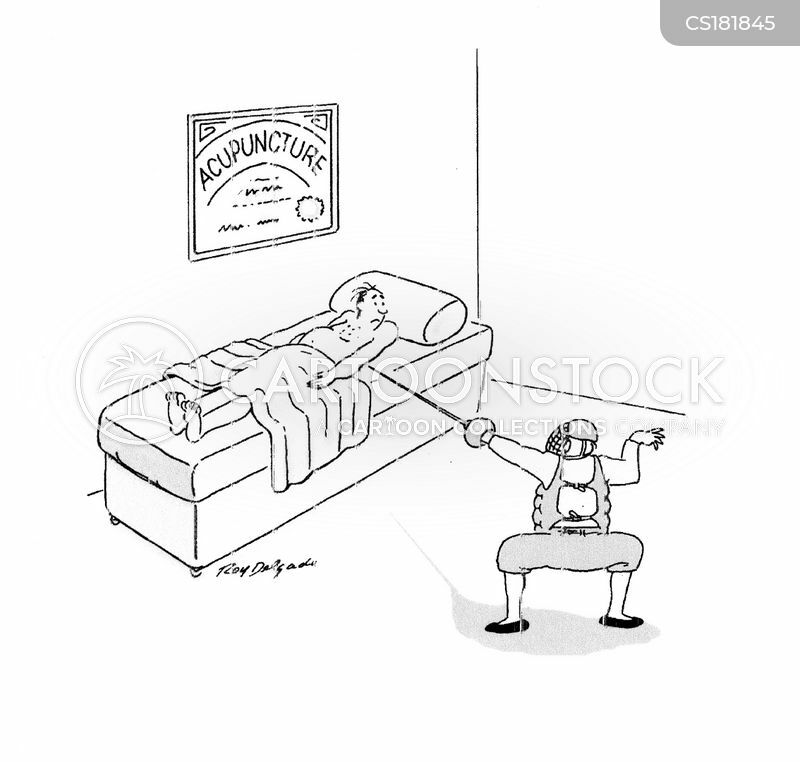 Acupuncture: Come in for a jab well done.